Even though I loaded my camera along with my sheep, this is the only picture I ended up taking during the AGM weekend. Loaded up and heading out. 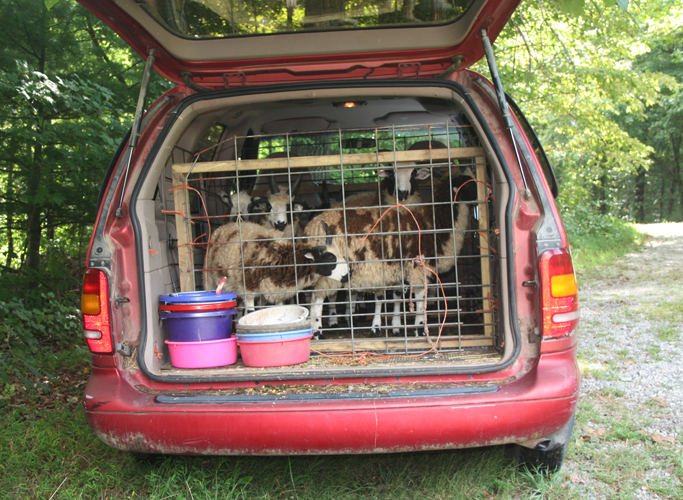 My old minivan morphs well into a sheep hauler. I think the sheep like the AC. 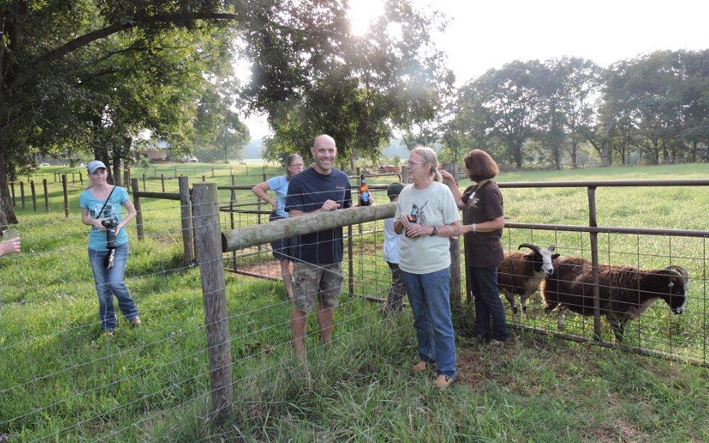 The JSBA AGM was held in the Athens GA area, with days spent at UGA and evenings at Hedgerow Farm, the home of our hosts Bill and Lisa Douglas. Everyone enjoyed their hospitality and their lovely farm. And we are still talking about the food! I’m seriously thinking of making the 90 mile trip back to the area to get some more of those cheese biscuits. While I didn’t bring home pictures, I came home with memories and much to ponder. 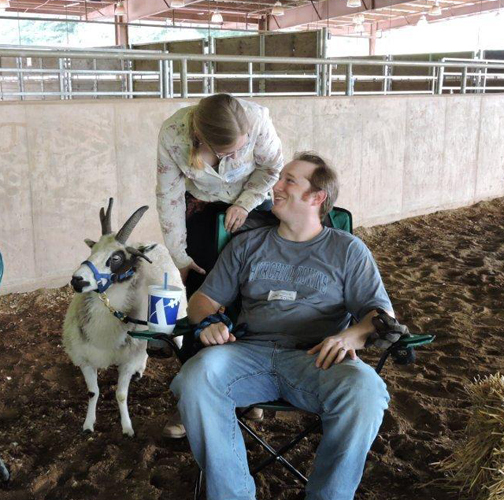 As always, when a group of Jacob Sheep people get together we talk sheep and exchange ideas. Ingrid Painter spoke Saturday night after supper. I’ve always been in awe of Ingrid since I first heard of Jacob Sheep. She has said much over the years that has helped to educate new breeders. Nothing she has said over the years touched me as much as her story about her first Jacobs. After a long search she finally had some. They might not have been the best in the world, but they were Jacobs and they were hers and she was excited to have them. We all know where Ingrid went from there – building one of the foundation flocks (Puddleduck) in JSBA and producing exceptional animals that contributed to flocks all across the country. I still remember how excited I was to get my first Jacob. He wasn’t as great as I thought he was, but he was a Jacob and he was mine! I loved him!! Well, until he hit me in the middle of the back when I wasn’t looking. And until I learned enough to realize his horns weren’t really all that good. But he started me on a path that led to some better sheep. Somewhere there is someone that just bought their first Jacob and is just as excited. It’s their first Jacob!! Thank you to Ingrid for sharing her story and thank you to all the new breeders that continually remind me that of the excitement of that first Jacob Sheep. Moose Mtn Natalie, brings the excitement of that first Jacob Sheep to Alena and Jack. You’ll seldom see a picture of me on my blog. I’m behind the camera, not in front of it. Royal Unzicker sent me this picture from AGM. Jacob Sheep, good food and drink, a lovely venue, and good friends.